I have to tip my hat to our friend Melania. Mel and Keith gave me this bottle for my birthday. Chris and I enjoyed it the other day and after Chris found the same wine at our local Costco for $14.99 per bottle; we were pleasantly surprised. For that price you cannot go wrong. 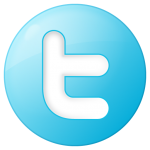 Deep color depth and the hue was garnet. The wine was very clear in my glass. The Phantom was very aromatic and fruity while I smelled plum, spice, cocoa, coffee, and blackberry. 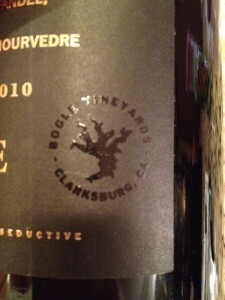 This wine was slightly dry and astringent with a dry mouth feel, but it was full-bodied. The acidity was right on with medium tannin’s. 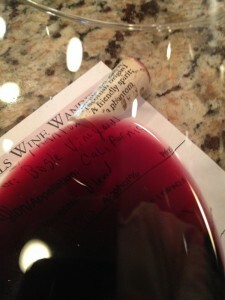 As I tasted the wine the tannin’s approached my mid-palate and the flavors were rich with a long finish. It was a very nice blend! Wine makers notes: Aged for over two years in 1 and 2-year-old American oak focus and intensify the Zinfandel, Petite Sirah and Mourvèdre, creating yet another passionate and commanding red wine, impossible to ignore. I saved a glass for the next day and the Phantom was even better! 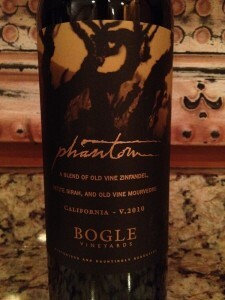 I rated the 2010 Bogle Vineyards Phantom four glasses.